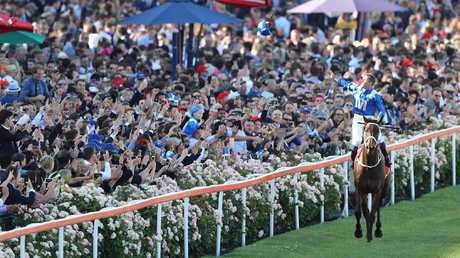 MELBOURNE will host one of the richest horse races in the world next year, cementing its status as the centre of racing in Australia. The new $5 million All-Star Mile will sit alongside the Melbourne Cup and Cox Plate as jewels in Victoria's racing crown. And racing fans will get the opportunity to decide who contests the race through a public ballot. The inaugural All-Star Mile will debut at Flemington on March 16 with super mare Winx at the top of the wish list. Racing Victoria has been desperate to hit back at its Sydney counterparts after they launched the Everest concept, with its world-record prize money, to much fanfare two years ago. Winx will be a priority. She is likely to have her final campaign through the autumn in Sydney, but the $2.25 million winner's purse could entice connections to divert to Melbourne. A fan vote will determine 10 of the 14 runners in the weight-for-age event with RV retaining four wildcards to complete the field. The fans will also get a slice of the winnings with each horse in the field having a voter attached, who then becomes a nominal owner for the day. If their All-Star is successful, the lucky punter could snare $250,000. RV chief executive Giles Thompson said the key to the new concept was getting the three Victorian metropolitan clubs on board and the race will rotate annually through Flemington, Caulfield and Moonee Valley. "It's totally unique, no one else can do it," Thompson said. "We're lucky enough to have three vibrant and different clubs. "The core of the race will be the same year in, year out, but the experience will be totally different because the clubs will bring what they bring." 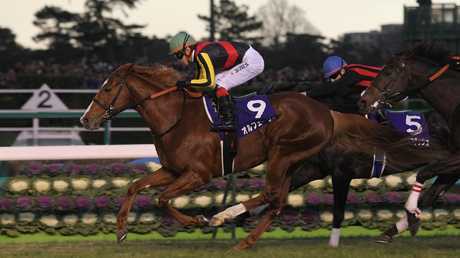 The fan-voting concept has been used successfully in Japan with the Group 1 Arima Kinen event over 2500m, known as the "people's race". They also have 10 runners selected by public vote with six added by the racing authorities. Since 2013, they've had more than 1 million votes each year. "Our fans are passionate about racing," Thompson said. "The fans just want to get involved and this enables them to get involved." Thompson said The All-Star Mile wasn't a reaction to the success of The Everest or about getting bragging rights. "Our autumn racing schedule is pretty impressive with Super Saturday … but we felt it could do with an injection of newness and innovation," he said. "This really does that; it will create a lot of interest and be the real feature event of the carnival. The two states are very different and bring different things to the racing calendar. "This is something they couldn't do in Sydney because they don't have three different metro clubs for starters. Similarly, you could argue, could we do something like the Everest down in Melbourne? But it's not about that, it's about us bringing our own things to the racing schedule." On the prospect of luring Winx, Thompson said: "She could easily run in it; Chris Waller and the owners will decide that. 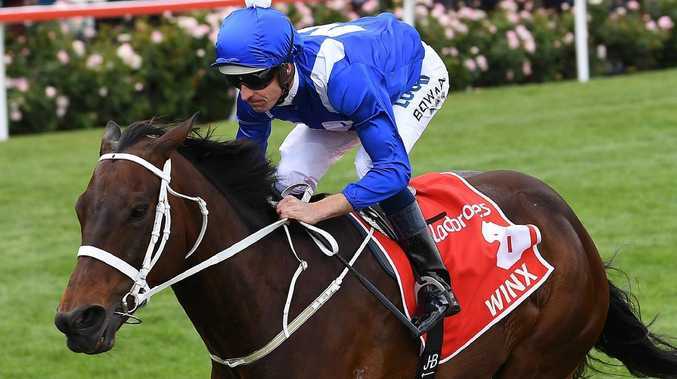 There is no doubt people are going to be talking about how Winx should be running in it." The All-Star Mile takes over from the Hong Kong Mile ($4.29 million prizemoney), which is run in December, as the richest 1600m event in world racing. • The 10 highest vote-getters are selected for the race. • Four wildcards will be determined by March 5 to complete the field of 14 All-Stars. • Final field confirmed and barrier draw conducted on March 12. • Lucky fans allocated to each runner and becomes a nominal owner for the race with a chance to share in $500,000 prizemoney.